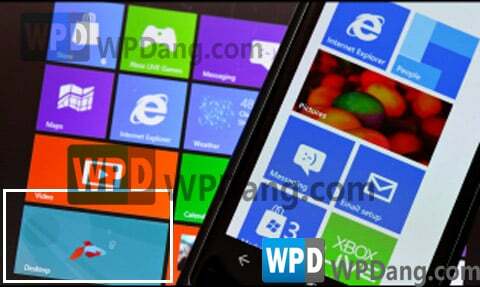 Could Nokia, Microsoft reveal a Windows 8 tablet next week in New York? New image suggests yes. Is this a new Nokia Tablet with Windows 8? It appears that Nokia may have more than just new phones to show off next week in New York City. According to the site WPDang, internal images from Nokia show what appears to be a full on Windows 8 Tablet in a "a mysterious Banner map" hidden on the site. The actual device body is mostly out of view but instead what we see is a rather large display with Windows 8 tiles, including one for ‘Desktop’. In addition, what appear to be new high Symbian devices are also shown, meaning Nokia may not yet be done with that OS yet either. What’s more, such an announcement on Wednesday, September 5th may help explain why Microsoft will be in attendance, co-presenting with Nokia. There’s a good chance that the consumer features of Windows Phone 8 will finally be revealed in a more detailed presentation. But with the image above and the build up to the event, we’re leaning on the notion that Nokia has more than just new Lumias to reveal to the public. "We continue to eye the tablet space with interest, but have made no specific announcements”. So the trail strongly suggests that Nokia has intentions to get into the growing Tablet market. That just leaves the question of When they will announce it? Within the last few weeks, PC manufactures from Sony, Asus, Acer to Lenovo have all announced new tablets running Windows 8, so September 5th would appear to apropos for making such an disclosure, especially with Microsoft by their side and major media present. Thankfully, all will be announced within just a few days.